CRAZY DISCOUNT! Was: $799.00 Now: $509.96! 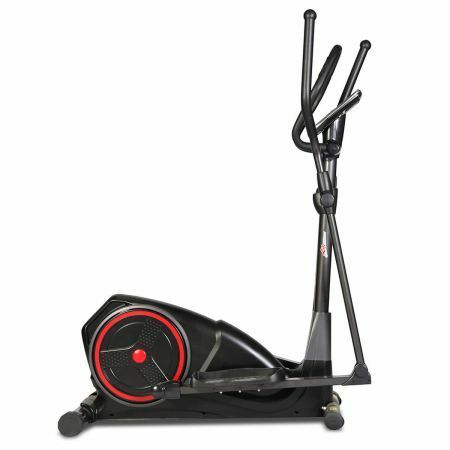 Lifespan Fitness' X-22 is a medium sized Elliptical Cross trainer that will fit most households with ease. 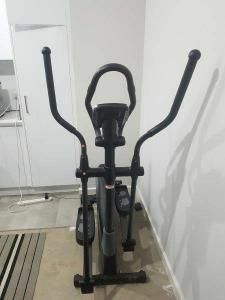 It comes with computerised magnetic tension and a belt drivetrain to ensure a smooth, consistent workout, as well as easy resistance changing at the push of a button or with programs. The X-20 features a Coloured LCD computer display with 24 programs (HRC included) and shows speed, time, distance, heart rate, RPM and calories. Our delivery service may vary among carriers. Since most carriers deliver to the curb side immediately adjacent to their vehicle and regard inside delivery as an extra service cost, it may be necessary for you to assist or move merchandise into your home, this is especially relevant if you live in a block of flats as carriers will only deliver to the ground floor entrance to the block. Be sure to include one or two phone numbers in case the carrier needs to notify you to arrange delivery. All deliveries are made Monday - Friday between 9am & 5pm. Our carriers are unable to give specific times for delivery. Deliveries are strictly door-to-door services, the courier will deliver to your front door location or to an accessible ground-floor entrance. Couriers are not obligated to enter any premises or homes and will enter at their discretion. If when the carrier arrives with your goods after pre-arrangement without an Authority to Leave Unattended and there is no-one present to receive them, they will be returned to the carrier's depot, or to the supplier. In this case you will be liable for charges for re-delivery. If the order is subsequently cancelled, you will be liable for all carriage charges and a 15% restocking fee also. Fitness equipment delivery and installation is done by trained professionals from or contracted by CrazySales. Fitness equipment installation by contractor does not alter or add to CrazySales's standard warranty or delivery terms and conditions. Due to Australian Occupational Health and Safety regulations someone must assist the driver with unloading the item if it is too heavy to be moved by one person. If no one is available to assist, a tail gate truck will be required to unload the item. The tail gate service may incur an additional charge. Please contact us via email or phone if this is required. 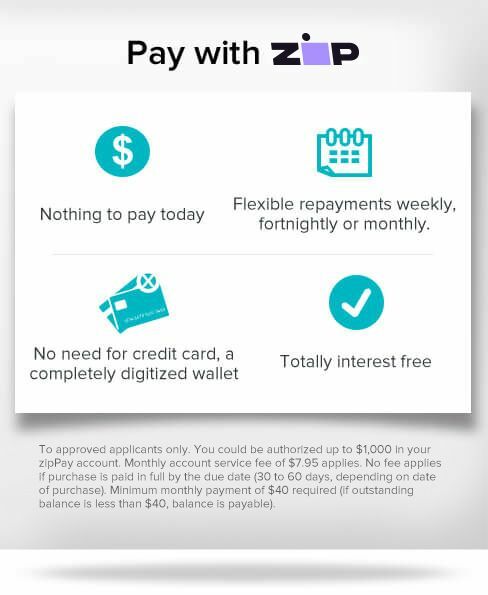 You are responsible for counting the amount of cartons you receive and ensuring that this amount matches the amount on the carrier's delivery note. If this amount does not exactly match what you have received, you must note the number of cartons on the carrier's delivery note. Damage to packaging must be stated on the delivery note next to your signature. You must cross out "delivered in good condition" from the carrier's delivery note (if applicable). 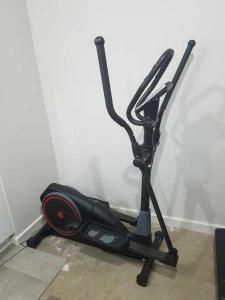 If the item has been damaged we will require you to email us at info@crazysales.com.au, with a description of the damage and photos attached so we can organize a remedy for the damage. Short deliveries and damage to packaging must be reported to CrazySales within 2 working days of signing. Neither CrazySales nor the delivering carrier can be held responsible for short deliveries, damages to packaging and/or items if you do not note them on your delivery note. This does not affect your statutory rights in the event of the goods being faulty. Some items may be shipped directly from a supplier. These items may have a 48-hour dispatch time, and can be expected to have a delivery time of 3 to 10 days depending on location. Delivery cannot be made to PO Box or GPO Box addresses. If it is found that the product 'will not fit' through/around any doors/stairwells etc. and the product is subsequently returned, you are responsible for all outward and return carriage costs and a 15% restocking fee is applicable. This Cross Trainer is perfectly fine for an entry level machine. I find it a bit rickety but it is fine for my wife.Assembly is a little challenging but all the parts are labelled so as long as you follow the instructions you will be fine. This product comes with a 12 Months Parts Replacement Warranty. Please click here for details.